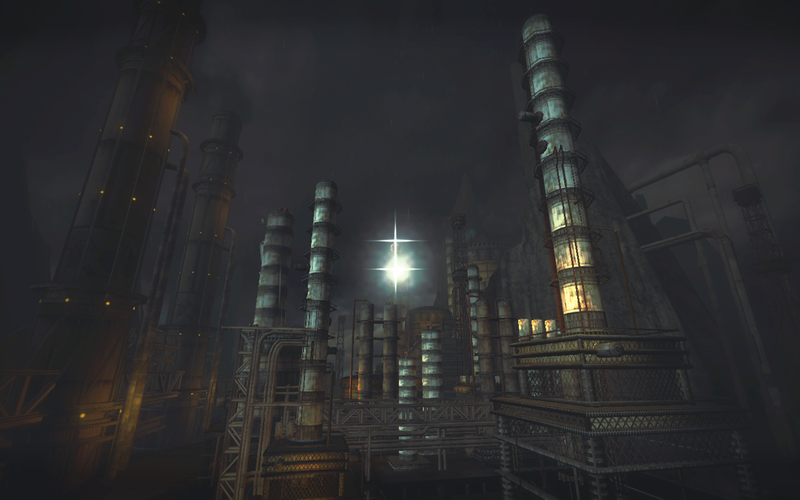 With the many refineries and support facilities in the area, there has always been high explosive activity in the skies. However, when there’s only one point of interest remaining, you can surely expect a vicious grind between sides for dominance. Only the strongest will reign! The Black Pearl: Unlocking the premiere map of this update will require everyone’s effort in celebrating the very game mode it was designed for! 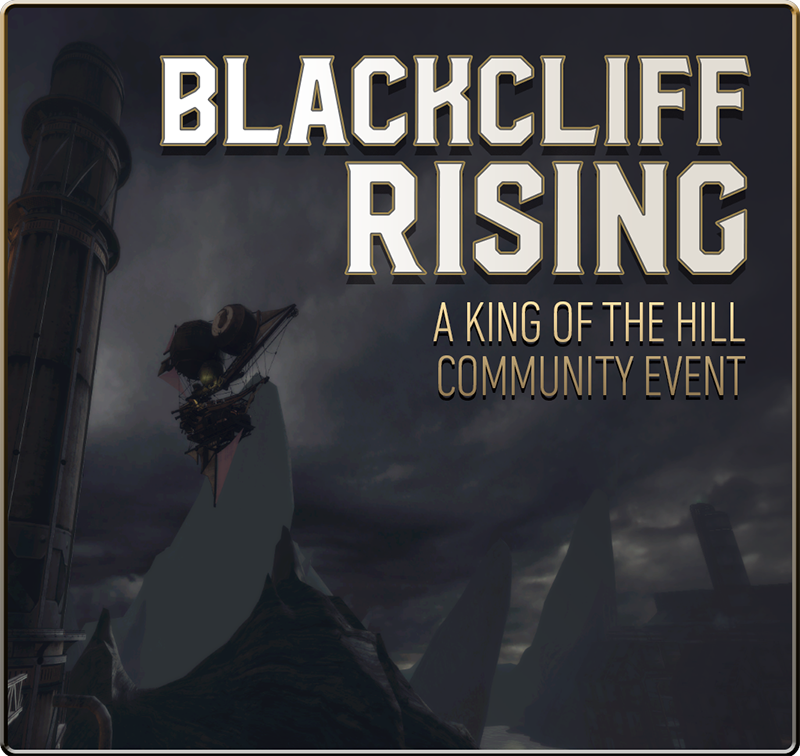 Join in on any King of the Hill map or Crazy King map and complete matches to contribute to the public unlocking of this ‘black pearl’ of maps! 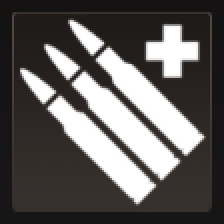 Incendiary Ammo: Removed clip size penalty, increased ignition chance to 25% (from 20%), added accelerate fires at 100 (for every 100 points of base damage the gun deals, an extra fire charge is applied on a successful ignition chance). This damage is calculated based on pre-hit modifiers (buff and ammo multipliers), while ignoring part type modifiers. 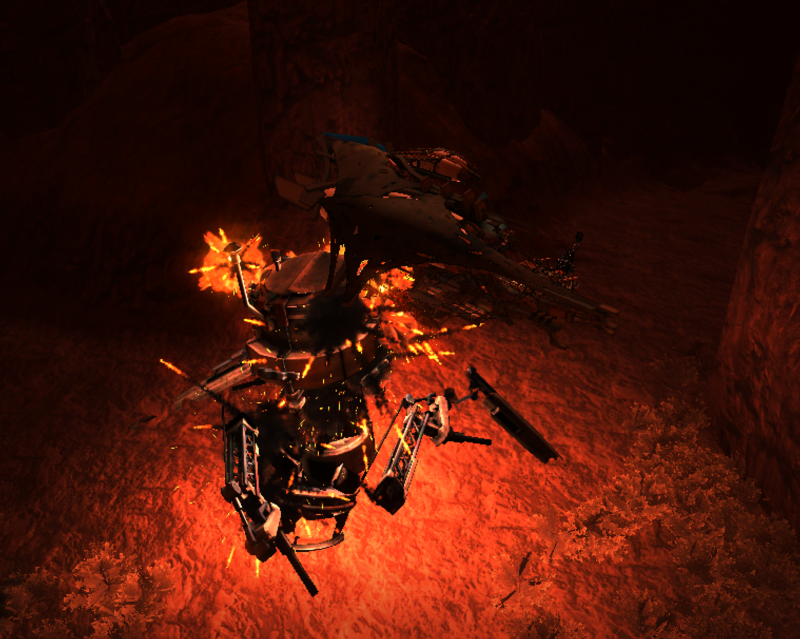 300 Shatter damage will cause the same amount of fires as 300 Flechette damage on any part it hits. Fixed prices for Test Subject and Research Thief to 5200 (from 7500) world items to accurately reflect improving returns. Nothing like another gizmo for the arsenal of tools on an engineer's belt strap! 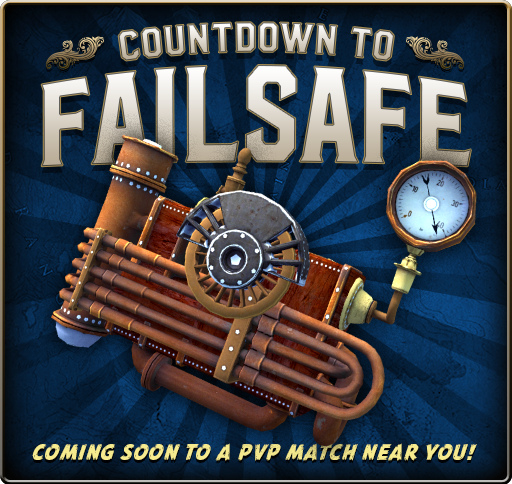 Now you can enjoy the power of the failsafe tool in PvP warfare, use the careful automatic functions to maintain all the bolts and whistles of your components while you hold the ship together with glue and a healthy wad of spit shine! War monument added: Victory for the Gilt Authority in their unwavering charge against the Vanguard Fleets has earned them a resounding victory in the war! Lands and riches stand changed by the events and the victors erecting the symbol of their might for all to see! Judgement lateral drag increased to 2.5 from 1. This will reduce sideways drift. Improved novice menus to address the most commonly asked questions. Missing check/cancel on mask dye buttons. Fire Sprite - Free item for logging in! 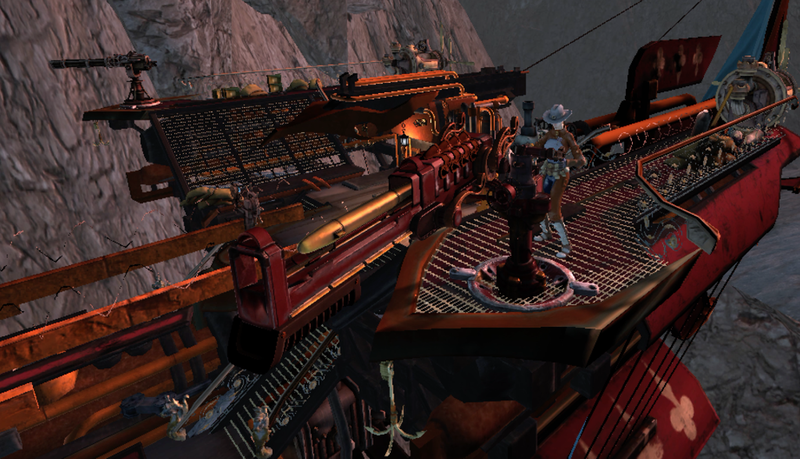 Guns of Icarus Online - purrsleepkitty. We put out a few fires earlier, and it looks like it's unlocked a special new item, free to anyone who logs in! The Yeshan Judgement is now available in PvP! Have you ever considered that the world to be too chaotic? People not falling in line? No one listening to your orders? 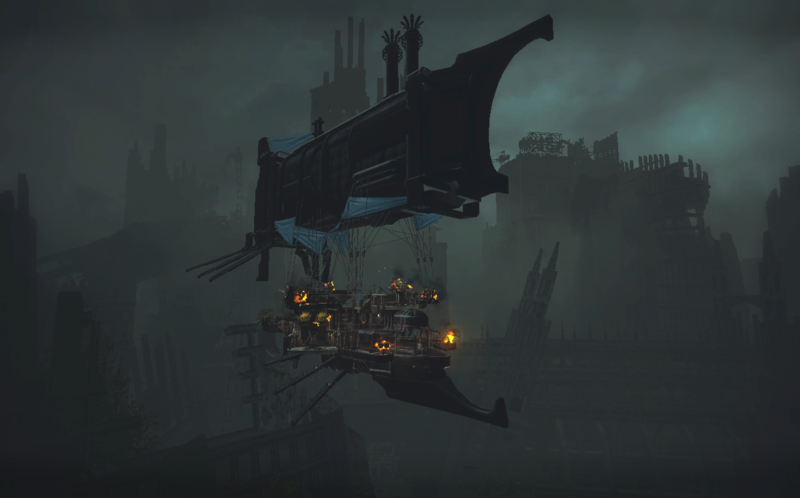 Now you can finally set things straight in true Yeshan fashion with the Yeshan Judgement ship. Use its double heavy gun layout to drop any enemy that tries to cross your path in PvP. 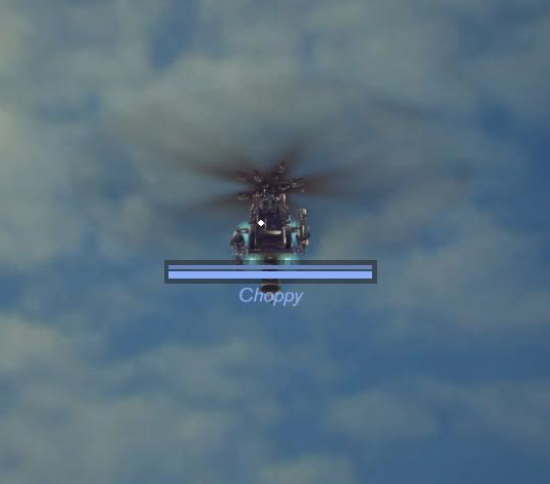 Finally bring order to the skies with this deadly addition. Dare Devil’s Run: Flying with the wind! Alliance players will need to beat the clock with fifty successful missions in any mission to earn your place among the clouds! Simply complete 50 matches in under 5 minutes with Hard difficulty or higher within two weeks to earn the 'Pale Accomplice' decal! Rise of the Machine: Cast shadows across the skies and intimidate your foes into submission with your obsidian black sails. Completing this requires able sky sailors to win 30 matches in 2 weeks using the Judgement ship in order to earn the exclusive 'Sky Dog' decal! 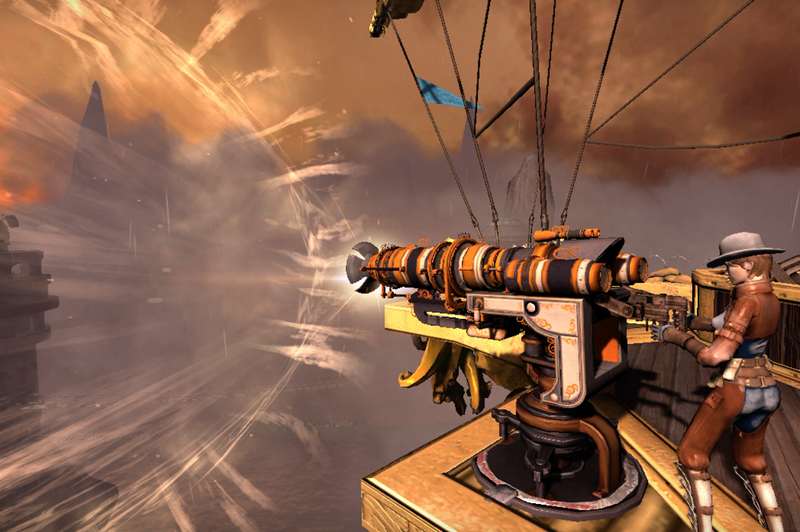 Steam Upgrade Deal: Are you an owner of Guns of Icarus: Online? Now you can upgrade to Alliance at 50% off! Check out the store page for your eligibility! Matchmaker is only enabled with 60 or more concurrent users. Players are sent to match list directly otherwise. 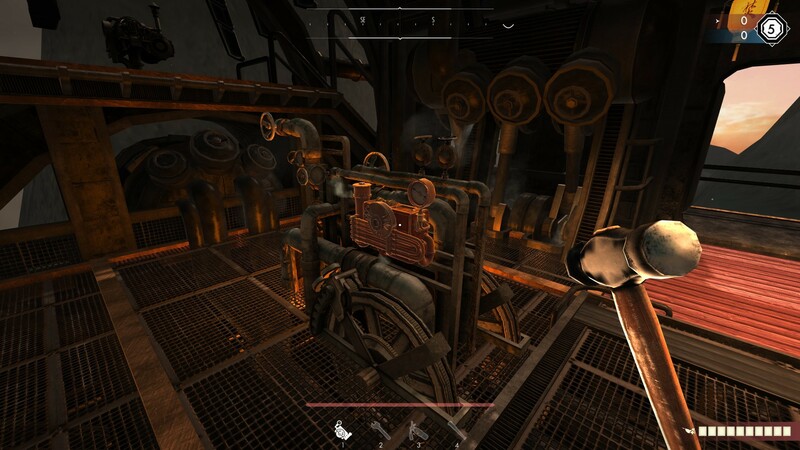 Players in crew slot 3 and 4 are automatically switched to engineer. They can still change to gunner if they’re in pregame lobbies. Crew slot 2 remains the same (allows both engineer and gunner). New balance changes brought to you buy the Player Council. Enjoy! Squid: Fixed longstanding configuration error that affected armor and hull health. Returned to standard 330 armor and 450 hull health. Fixed a calculation error that caused ships’ top turning/forward speeds in practice to be slightly slower than intended. Search & Destroy: Night map of Drowning Wastes. Night map expansion continues! This time to Search & Destroy. We wanted to add to the Search & Destroy contents, which are long overdue. This night map will bring a new dynamic to this game mode, enjoy! Oblivion converted to Infiltration! Play it now on Downfall Departure! Infiltration is another game mode that needs more! So we’re adding more, expanding the Oblivion map to support the game mode. It adds a different dynamic to the experience. Enjoy! 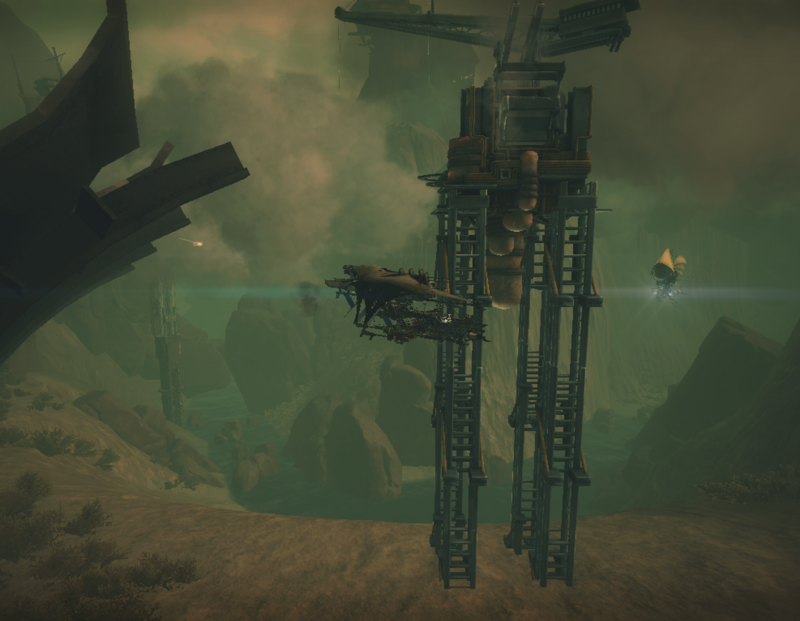 VIP Deathmatch: Blackcliff Entourage. VIP Deathmatch gets expanded map support with Clash at Blackcliff! Old Dog Achievements extended! Play the next level of the Old Dog achievements for new goodies like the Jeweled Nautilus decal, Cowboy victory pose, and golden Fail-Safe Kit. Steam Sale: Guns of Icarus Alliance, with all the PvE goodness, will be included in this week’s Weeklong Deals at 66% off! You’ll now be able to buy a copy for yourself or friends for under $5. Thanks so much for your support! 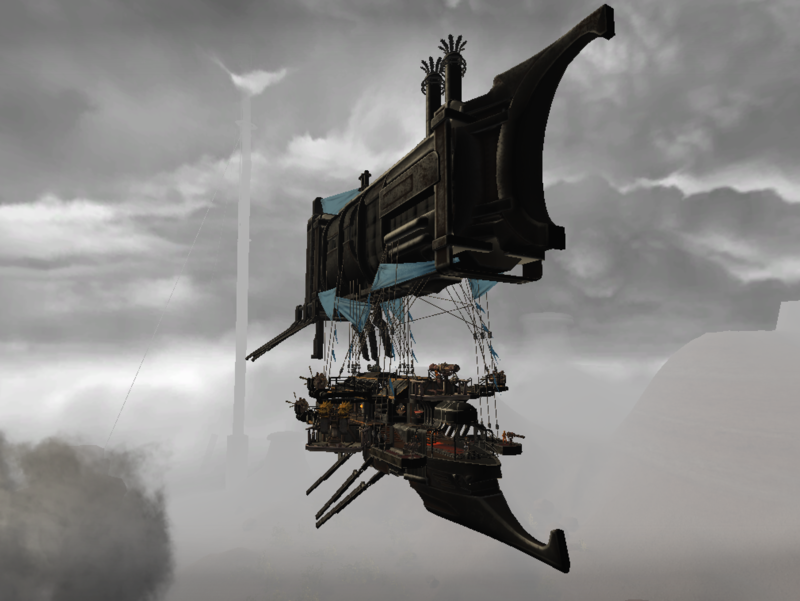 Guns of Icarus Online will be a part of it at 75% off as well. Enjoy! Closing the Gap: Following our successful Hell Pays 2 event, this new Community Event features a cooperation goal, seek out novices or veterans alike, play matches and win! (or lose) with the chance of learning the game mechanics and possibly make some new friends. Learn & teach with each other to accomplish better cooperation and gameplay! It just takes 50 matches with at least one novice on board to complete the achievement in three weeks time! Accomplishing this will earn you the ‘Scout's Occulus’ for both genders. Happy hunting and clear skies to all! Judgement: Decreased forward speed to 28m/s (35.5), decreased forward acceleration to 4m/s2 (4.4), decreased turn speed to 12m/s (17.45), decreased turn acceleration to 8m/s2 (11), reduced vertical acceleration to 3m/s2 (5.5). Thrust from engines balanced more towards the front engines than the back. Hull health increase to 1000 (from 500). Balloon repair point moved down slightly to allow fixing from below without jumping. Junker: Hull repair point moved forward slightly to allow repairing from front without jumping. UI: Updated the Profile Page design which includes a bit more information. UI: Updated World map functionality to display every territory’s resources. Fixed some collision issues with large rotating units (Alliance bosses most notably), including one that could cause player ships to be “vacuumed” into it. The Guns’n Graves Update is now upon us! As typical of every update, there’s something for everyone. Our weapons lab and MKII program have kicked into high gear for PvE combat, and the results are 6 new weapons, one for each faction. While in the spirit of their predecessors, these new guns are at the same time vastly different. So, use them with reckless abandon! At the same time, we have a new PvP deathmatch map for your enjoyment as well. Check out below for all the latest in this update! Alliance Mk II weapons: Each faction has been hard at work, putting time into their R&D departments to create new weapons of destruction. All six factions will receive a MK II version of their specialized weapon. There will be something familiar about them, but the way in which they are used and where will be different. Ranking up to faction level 12 will unlock these weapons. The MK II weapons have also been retroactively added to the Grandmaster achievements so for those of you who have unlocked them already, you should see new rewards waiting for you to be redeemed! Kalakuta Gas Mortar Mk II - New variations on the original Gas Mortar, the Mk II encompasses more shatter and piercing with rapid fire cloud bursts, superb for clearing the skies of enemy air patrols! Aten Lens Array Mk II - The power of a thousand suns concentrated in recalibrated lenses for maximum area of effect! With this alternative design you can spread the area of damage in exchange for less concentrated fire and when used at the right time will scorch a squadron of ships in no time! 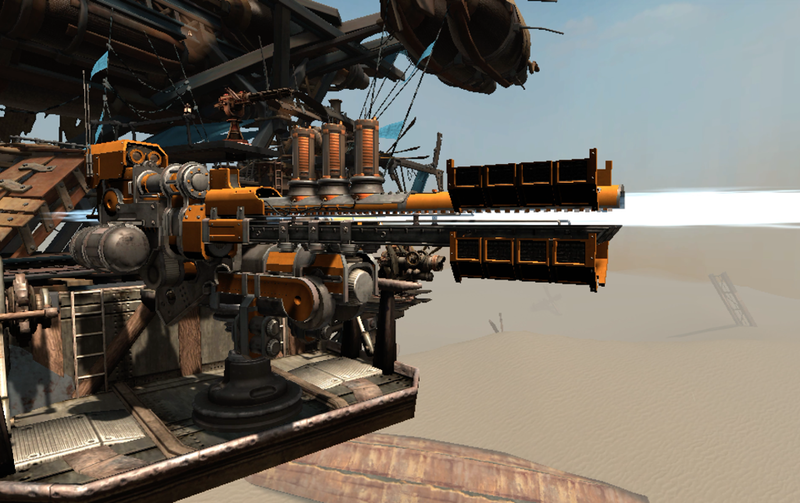 Immortal Gaze Heavy Accelerator Mk II - Crafty design and unearthed technologies can reward your gun mounts with devastating firepower. This heavy gun now boasts improved focus fire against components and rapid charge up times! Roaring Tiger Heavy Detonator Mk II - Another prized weapon of the skies, this Mk II weapon offers a buckshot spread of explosive ordnance that can quickly dispatch enemy vessels within reach! 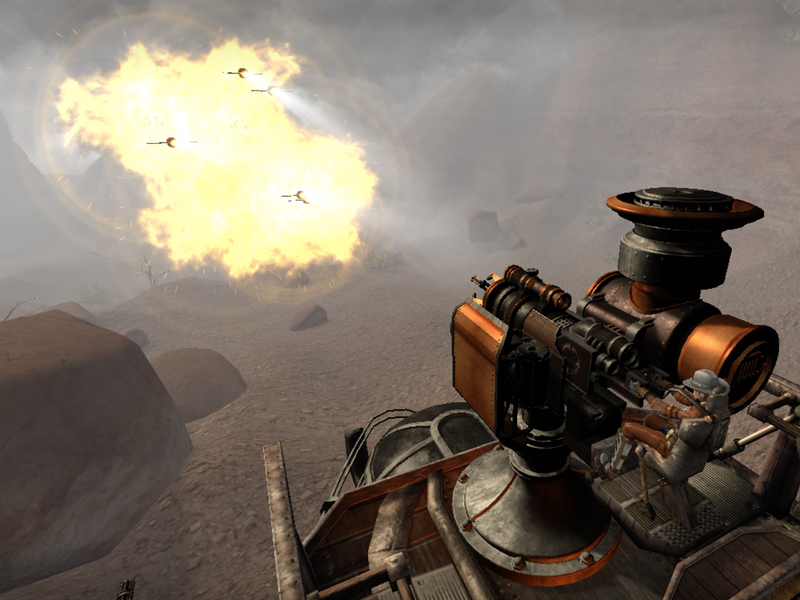 Remote detonation by gunners can also trigger calculated shots for maximum damage effect! 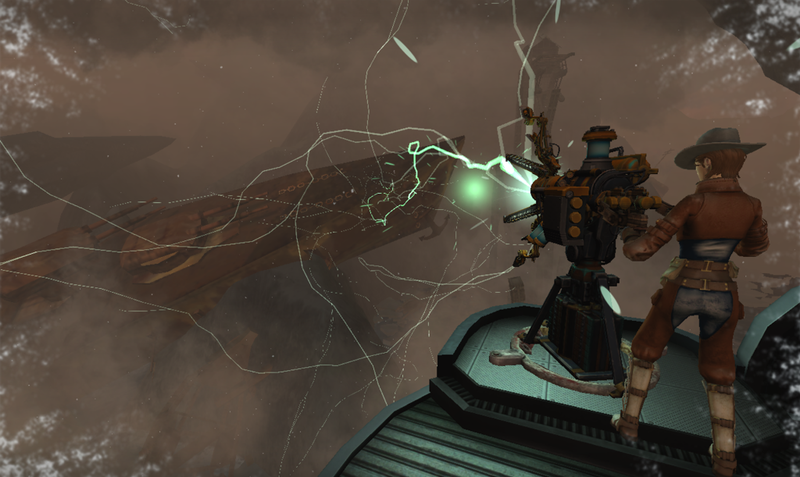 Februus Weaponized Coil Mk II - Engineers with too much time on their hands have produced an even wilder design, by improving upon the original with piercing and shatter damage not to mention multiple component damage on individual ships. Chaotic and wild, perfect for an enterprising sky captain that’s crazy enough to use it. Seraph Tempest Missiles Mk II - This alternative design offers a single shot but guidance controlled rocket to its target. Since the engineers managed to condense more ordinance into each beautifully packaged rocket, expect more damage and greater clip sizes to help in aiding your vessel through these crowded skies! 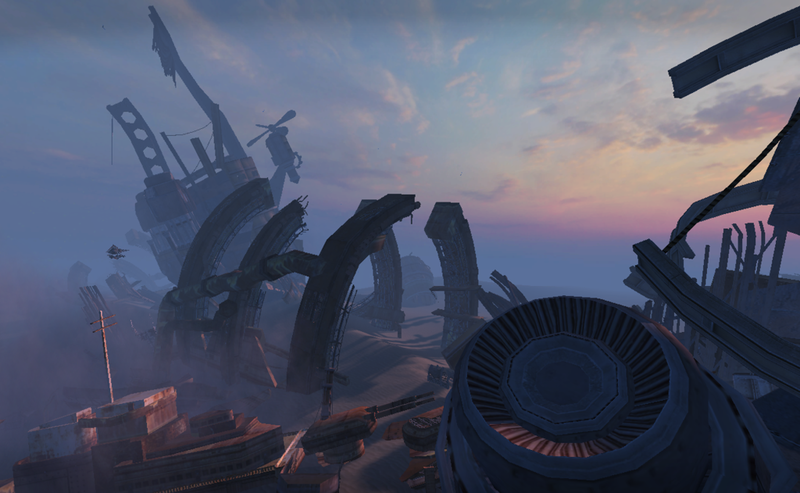 New PvP Map: Graveyard Rumble - Navigate wreckage at dusk as you vye for the upper hand in aerial combat! Inspired by the popular reception of the map in Skyball, Graveyard Rumble is our new 2v2, 3v3, and 4v4 Deathmatch map! New Ammo Type: Extended Magazine - For those who just want to keep shooting into the sky. +45% clip size, -10% rate of fire, -15% damage. Brought to you by the Player Council. Improved novice loadouts for Skirmish ships. Brought to you by the Player Council. Fixed achievement "No Mercy 4" (killing supply ships in the Defense mission on Hard difficulty) not registering any supply ship kills. Fixed errors on boss beam weapon. World map: fixed province screen description text overflowing its boxed. World map: fixed province city icons being displaced to borders or in other provinces. World map: the province of Cathedral has a “standard” dot instead of the larger dot used for faction capitals. Added missing Shrike graphic in the "Evadne's Reports" book. Commendations notification once again appears during the end match sequence. Fixed Aten Laser [Mk. S] to Aten Lens Array [Mk. S]. Added additional terrain to southeast corner of Voyager base to prevent bosses spawning in southeast from attacking the base when it spawns. Unfortunately, it’s harder to fly over that ridge as a result. 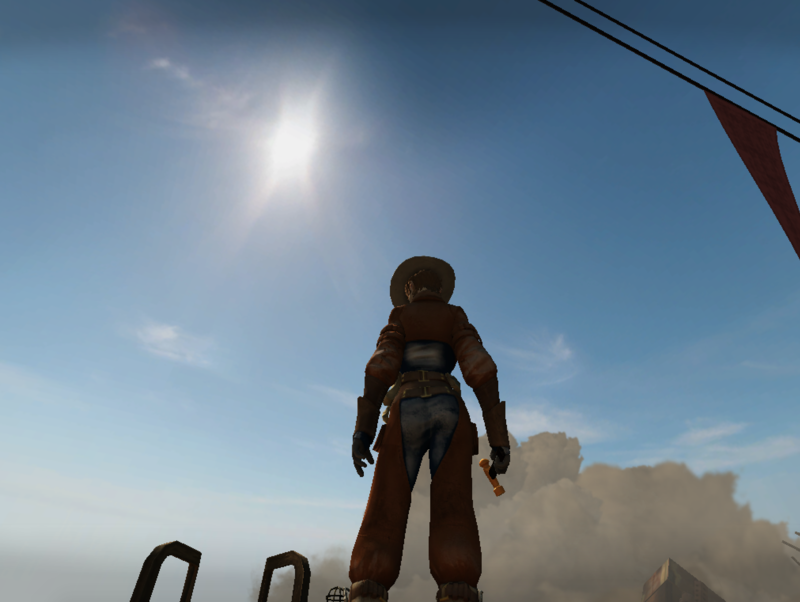 Fixed clouds rendering differently when zoomed in (using spyglass etc). Fixed cargo barges sometimes spawning underground on Voyager's Cove. Fixed AI crew having trouble aiming Tempest missile launcher after a player has used it. Added blocking terrain in Voyagers to block boss from attacking too far. Added missing icons in rewards page. Lochnagar Shot: +200% base chance of catching on fire when shot at with fire chance dealing weapons (from none. This means a 10% chance will become 20%), deals 12 Fire damage to gun per shot (from none, not to be confused with its proportional damage per shot). Brought to you by the Player Council. Aten Lens Array [Mk. S]: Direct 1 Piercing dmg (from 0.8) and 5% fire chance (from 15%), 0.4 Fire dmg (from .8). Brought to you by the Player Council. Do you love the universe and want to experience more? 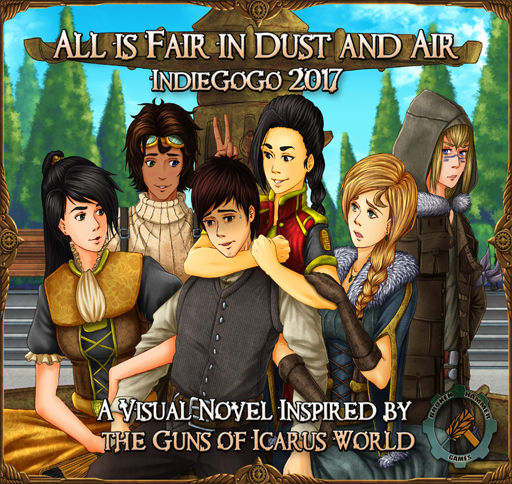 Our friends at Broken Hammer Games have started an Indiegogo project for a visual novel based on the universe of Guns of Icarus. Follow the link below to support their project for a chance explore the world and its inhabitants! Price Drop on Alliance and Free Items for Previous Owners! 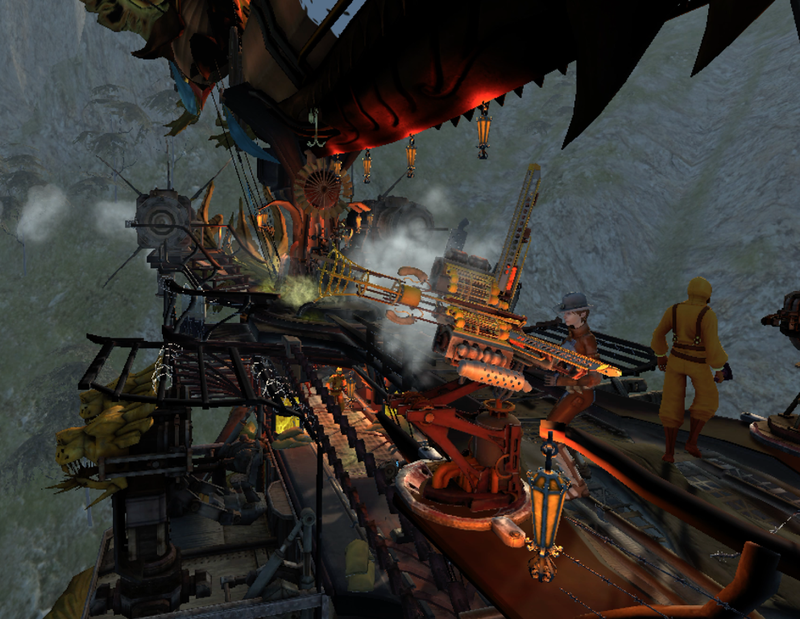 We have lowered the price on Guns of Icarus Alliance! This permanent price drop is intended to lower the gate of entry and to help us bring in more players and open more opportunities down the road. This isn’t just good news for people looking to buy Guns of Icarus Alliance though. Here’s a full list of the rewards. These items are the least we can do for our players who have supported us. We get to follow our dream of making games because of all of you! It's a special weekend. A whole new slew of PvE MK2 weapons are in the dev app after we tested them all weekend. Testing will be at 5 pm eastern today (July 14th) and 12 pm eastern tomorrow (July 15th.) 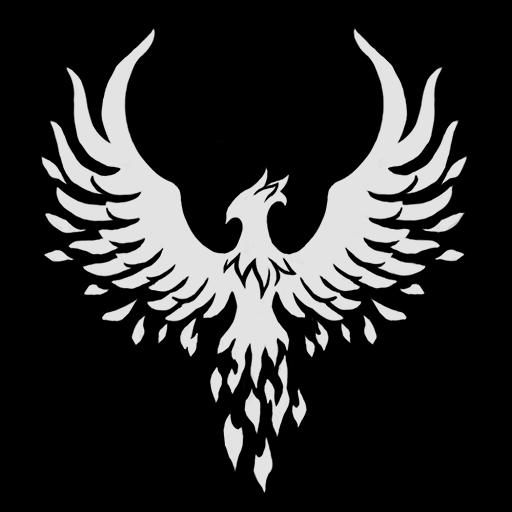 To hear all the latest updates first, join our Discord Experimental Crew! Our notes are below, but we can't wait to hear your thoughts. New effects have made this weapon stand out with it's fading and dangerous clouds. Like WW2 flak it bursts in the sky in a brief moment of destruction. This one is definitely on the overpowered side, we're doing our best to relook at this weapon. A cone of death! We spent the week tweaking the effects, but enjoy the new wide spread laser. True area clear. Guided single missiles fired more rapidly, this weapon has gone from under to over powered then reigned in. Test it out and try for yourself! Amazing at stopping convoys, we used this to abuse ships that had a goal and control them. Can you? throwing out a storm of explosions and shrapnel. It looks cool, but are there any masters out there that will make the most of it? Monuments on the map for the last winning faction during war. Also special events such as the Pirate Week winners will be shown here. The world will now be permanently marked with the wins of your faction so try your hardest to dominate the world! Voyager’s Cove Night Maps. Night descends on Voyager’s Cove. Bright greens and flora find themselves plunged into darkness with only explosions to light the landscape. Defend your base from a daring night raid and punish the invaders. Misty Mutiny Night Maps. PvP also gets another night map. There’s danger around every corner as the darkness conceals your enemies. Do your best to hunt them down as you find yourself fighting shadows or light up the world with the false sun of flares. Magnate now available for PVP. Our testers have put it through the wringer and now the Merchants find themselves in PvP. Take this unique golden ship into the skies against powerful crews. Extremely deadly and durable, push your enemies from the field. Aten Lens Array Mk. S now available for PVP. Embrace laser life. Make the skies a deadly rave with the Aten Lens Array. Bringing piercing and fire damage there are few parts of the ship that can withstand a prolonged assault. Remember the gun can’t move while firing though, so as soon as you see that laser, DODGE! Conductor Pride. Show your support for LGBT with these tweaked items. Proceeds will be donated to LGBT charities. So look stylish, help a good cause, and show off your pride! World Map Territory Improvements: New UI to better inform players of progress, change, and movement in individual territories. Periodic buffs can be unlocked for completing major ‘battles’ to increase sense of progression and achievement. Buffs are activated when a Captain deploys at a territory where buffs have been unlocked for their entire ship. Internal testing is back and just in time for next weeks patch! Between cons, updates, broken test server and a rock climbing trip for the office, we've definitely had a break between Gazettes, but now's your chance to get a sneak peek at everything coming your way. 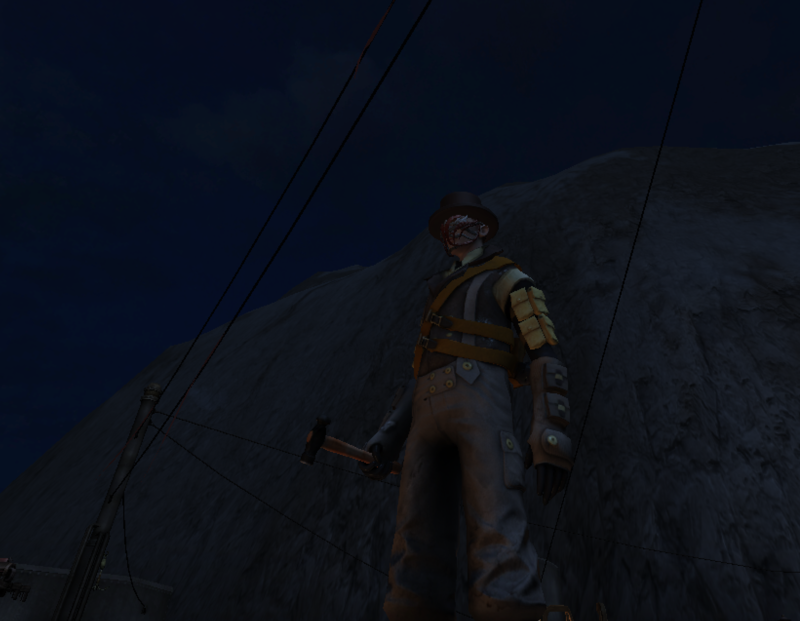 Night is no longer unique to Parous Glen. We've updated the solar cycle to also affect the normally bright and cheerful Voyagers Cove. Explore the darkened corners of this defense map and make your own light with flares, fire, and explosions. This definitely isn't the last map where darkness will become your greatest ally so keep an eye out! Desert Scrap may no longer be the most deadly map with the introduction of Ashen King. 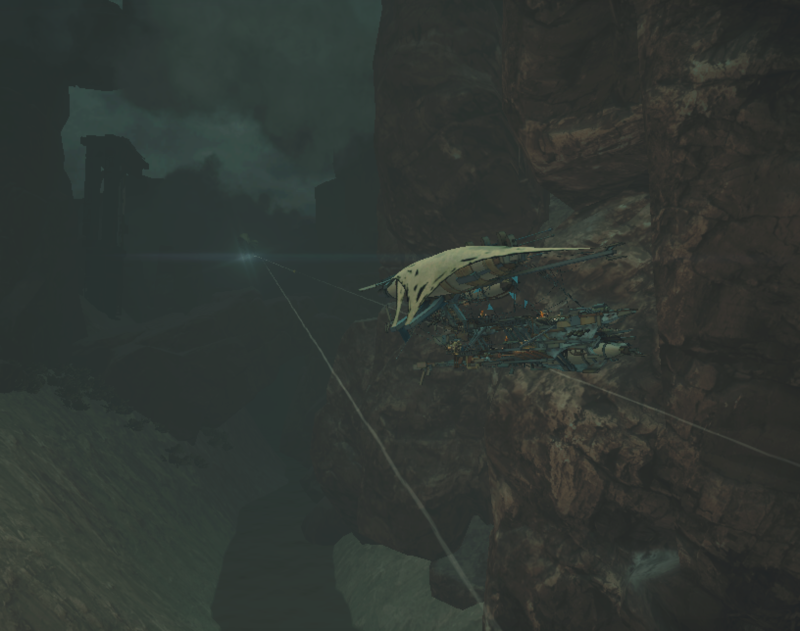 Fight for a single point in the middle of the cave structure. Forced together in some of the bloodiest close quarters maps. Fight the correct assault angle and work together to hold onto the point. Tar and Mines recommended!